Seasonality is a major driver in how people make their purchasing decision and can direct the buying journey for your audience. Since weather, holidays, and dates impact how and what people buy, you should be using seasonality in your SEO marketing strategy. The truth is that while seasonality is a powerful driver of business for your company, many online marketing professionals fail to leverage this dimension of your customers. If you want to increase sales, improve the effectiveness of your content, and grow your business then you need to consider seasonality in your SEO strategy. But how can you do this? What is Seasonal SEO? How can you build content for your business and engage with your audience. Here is a step by step guide on what seasonality is, how to use seasonal SEO for your customers, and how to optimize content around seasonal influences. Seasonality impacts all businesses, no matter the location, your product or your services. You can see seasonality and change customer behavior due to a change in season, whether or during a specific time frame. A seasonal SEO marketing strategy is an approach to engaging your customers based on natural changes in customer behavior. Time-Based. This includes Summer, Winter, and specific months. Event-Based. This includes Christmas and Thanksgiving. Customizing content based on seasonal weather and related holidays is a great way to boost conversions and open new revenue streams. 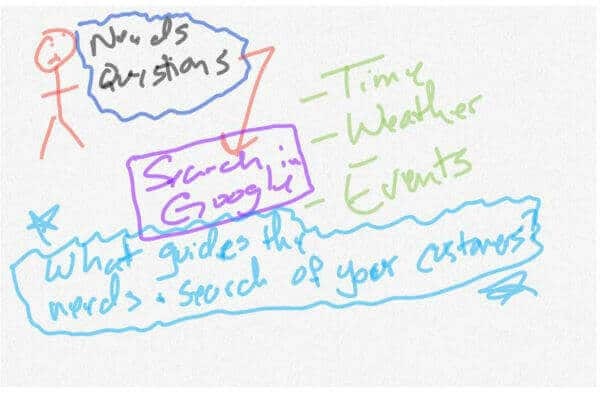 You can use seasonal SEO to help you improve your business sales cycle and focus your marketing dollars and resources around weather, time, and events. You will need a lot of data to find these patterns, and if you are not sure to find this information then you can think about researching the right SEO consultant to help you along the path to success. This approach is especially effective if you deal with products or services that depend on weather and seasons like snow shovels, who’ll cleaning and home air conditioning. Your business will see several benefits if you optimize content around Seasonal SEO like meeting the needs of your customers, increasing conversion rates and driving up cells due to seasonal demand. Why Is Seasonal SEO Important For Your Business? Search Engine Optimization is an important facet of your business. If you want a successful online marketing strategy, no matter what industry you are in, your business variances, seasonality, this is where your sales traffic or other metrics go up or down throughout the year in a predictable fashion. Every business has certain times of the year of peak season when it’s products or services become most desirable. One example of how our company can leverage seasonality is an air conditioning repair company in Orlando, Florida. Since Orlando was pretty hot in the summer, we can expect that there is seasonality for air conditioner repair companies, supplies, and distributors during these times. During this peak seasons, you will need to do things differently like restructuring your site layout or drawing focus to specific elements or do other changes that aim to increase traffic to your website to make more sales you Seasonal SEO strategies to drive more qualified traffic to your site today. Understanding how seasonality impacts your business is a basis for building an SEO strategy around weather patterns, holidays and sales cycles. The only way to understand the impact that seasonality has on your business is to identify patterns throughout the year. There are plenty of tools that you can use to identify seasonality in your market, but you can also use some free online marketing tools for small business owners. These tools will help you build a winning plan around seasonal shifts and help you create content that your customers will be looking for at specific times of the year! 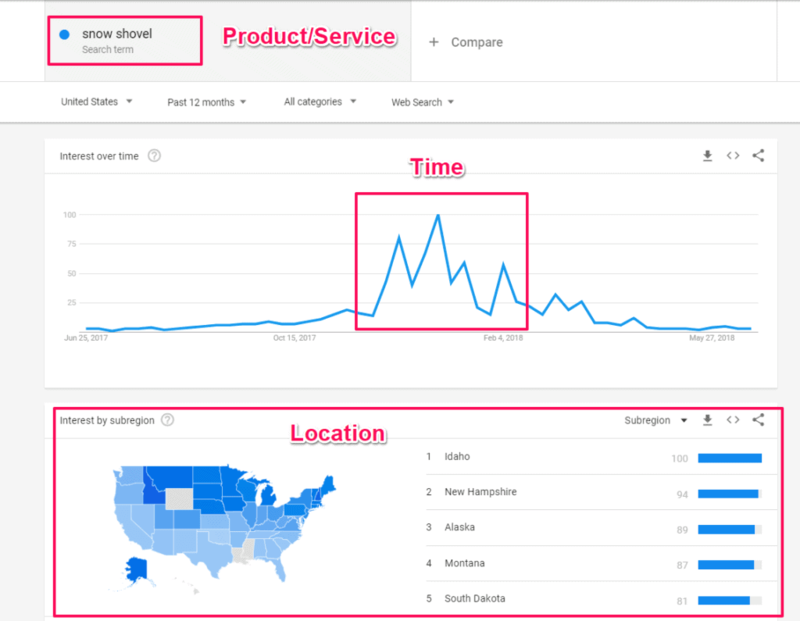 You can use free tools like Google Trends and SEMrush to anticipate how and when seasonality will impact your business. These third-party tools can give you a general overview of trends in the market so you can plan and optimize content to boost sales. The best way to see how and when seasonality impacts your businesses is to look at your company data. You can use seasonal data to drive your website audit to ensure that your entire marketing plan is focused on driving conversions from your content. You can use your own Google Analytics data to find seasonal shifts from last year’s performance. You can also look at your sales figures year over year to understand how changes impact your bottom line. Be sure to look at different metrics as you identify patterns like website visits, age visits, sales and category products that people engage with over a given period. Harness the benefits of Seasonal SEO to ensure the success of your business today. Because content can take a lot of time to plan, create, optimize, and publish, your entire marketing team should discuss seasonal SEO strategies for the upcoming quarter. If you are running PPC marketing campaigns throughout the year then you can use the PPC data with your SEO data to create a holistic marketing strategy and really amplify the benefits of a seasonal SEO plan. 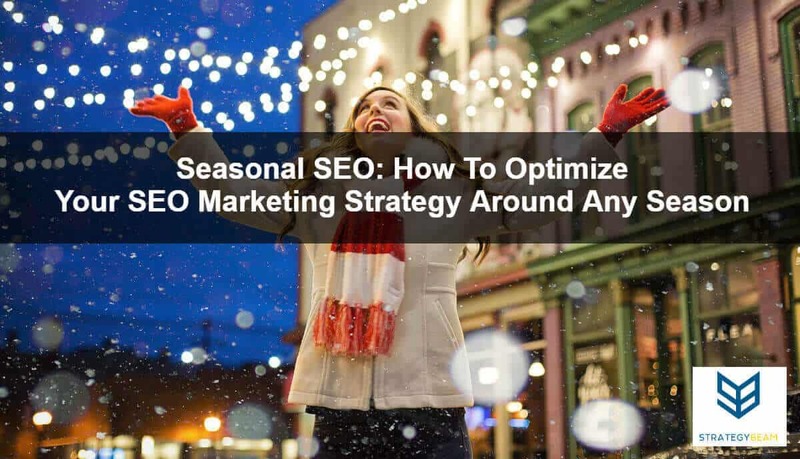 Here are a few of the necessary steps to prepare for a seasonal SEO strategy. Think about the dates, events, and other details that you want to build your campaign around. What message will you use and offer, and how does it relate to the season? Plan, create, optimize, and publish content for the select marketing platforms and channels. Create supporting content around landing pages that are optimized for your seasonal keywords. Be sure to give your team at least three months to research, produce and optimized content around Seasonal SEO factors. As you build out more content each year to address seasonal needs of your customers, you will be able to improve and further optimize as needed. Prepare your marketing content around the needs of your customers by understanding and leveraging Seasonal SEO today. Developing content for the seasonal needs of your customers can be tricky. You should develop a content strategy around specific landing pages that your PPC ads and other marketing channels can point to. You can use seasonality in your content by integrating specific questions that your customers have with optimized SEO copywriting. This means that your content strategy and content calendar should be built around the seasonal shifts in your market or industry. To fulfill the needs of your audience, you will need to build seasonal blog posts, Facebook posts, and Instagram Stories to match the content that you are publishing on your site. Also, consider how to optimize your website for seasonal products or services. Place promotional information on your homepage and test the navigation layout of your site based on the needs of your customers. Think about those needs for each season and then build great content to match your business goals. Develop a holistic marketing content strategy for the needs of your customers so you will appear for relevant keywords and align your business goals with the needs of your customers today. Now that you know the power of seasonality, how to identify seasonal shifts, and how to optimize content for the needs of your customers you can create great content today! Integrate seasonal shifts in your market to ensure that you build content that will engage your audience and drive more sales!